These new players join renowned Fortnite personality, Benjamin “DrLupo” Lupo as a part of Rogue’s expansion into professional Fortnite. Rogue, Las Vegas’ professional esports organization, today announces the signing of seven new players to its professional Fortnite team roster. These seven new players join top Fortnite personality, Benjamin “DrLupo” Lupo on Team Rogue. This investment in Fortnite shows Rogue’s commitment to building a team of world-class influencers surrounding this young esport. Rogue, known for yielding champions in multiple games — including PlayerUnknown’s Battlegrounds, CS:GO and H1Z1 — was founded in May of 2016 in Las Vegas. The company quickly became a top esports organization in North America, with a global presence in several of the world’s most popular games. 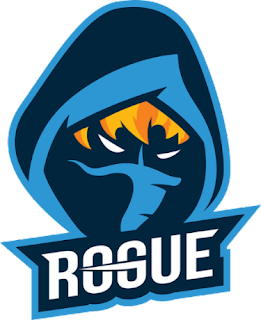 Rogue has strategically expanded its roster to include teams in CS:GO, Rocket League, H1Z1, Vainglory, Rainbow Six: Siege and Fortnite. Robert “Gingerpop” Breakey, Tennessee, US - Robert “Gingerpop” Breakey is no newcomer to professional esports. Before joining Rogue, Breakey competed in Overwatch, becoming a part of the tenth best team in the world. He then moved on to Fortnite upon the game's launch, showing his dominance in the early seasons in solo squads. Now with one year and over 2,000 hours under his belt, Breakey has been showing off what he can do in Friday Fortnite tournaments and on his Twitch stream. Finnley “gommru” Payton, England, UK - Finnley “gommru” Payton is one of the top-ranked Fortnite players in Europe. Payton began his competitive gaming career six years ago playing Counter-Strike: Global Offensive and reached the Global Elite rank. Since then, Payton has played countless first-person shooters before settling on Fortnite, where he now has more than 2,000 hours played and 1,400+ wins. Payton is in the TRN (Fortnite Tracker) Top 50 rankings for Fortnite and has been one of the top ten UK players since the beginning of Fortnite season 3. Payton competed in War Legends PAN European Cup and with partner, Alex “AlexJJ” Campbell, was named the top duo in Northern Europe. His passion for entertaining is abundant in his streams, where he combines his interest in gaming and the performing arts. Alex “AlexJJ” Campbell, England, UK - Campbell religiously began playing version 1.3 of Counter Strike: Global Offensive and fell in love with it. Upon getting his own PC, Alex was picked up by CS:GO 1.6 team, C4U. The team went on to win each LAN they attended, but dispersed in 2004. Alex has been playing Fortnite since November 2017 with an outstanding 54 percent lifetime win rate and a 12 kill/death ratio over 1,300 games. Accompanied with a staggering collection of online tournament wins and top three position in EU customs (POG, High skill Discord, War Legends and Bush Paranoia), playing in War Legend’s PAN European Cup gave Alex and his duo partner, Finnley “gommru” Payton, the title of Number One Duo in Northern Europe. His aggressive and strategic play style makes him a force to be reckoned with as he is now widely known in the professional scene of the game as a top-tier player. Ryan “ipDRe” Haberkern, Michigan, US - Ryan “ipDRe” Haberkern has been competing in online esports since 2007, competing in the Call of Duty. He achieved success in Call of Duty 4 competing in Cal-M, TGL-P, & Cevo-P. He was the in-game leader (IGL) for Ph3nom Gaming’s Call of Duty 4 team and retired in 2010. He began his Fortnite career in November 2017 and began competing in StepOne right away. His first team registered halfway through the first season and placed second overall. The professional scene began to develop itself in January and Haberkern signed with TwistedSin. He competed under their organization, alongside Luis “ZodiacTTV” Torres and Ryan “00flour” Borst, for several months as the IGL of the team. He has been streaming since November and is excited to compete in the upcoming professional Fortnite scene. Luis “ZodiacTTV” Torres, Florida, US - Luis “ZodiacTTV” Torres is a 23-year-old gamer born and raised in Miami, Florida. Torres has been gaming competitively since Halo 3. Torres began playing Forntite in November 2017 and since then has grown to become known in the competitive community. Since the beginning, Torres has focused on professional scrims in Fortnite. Ryan “00flour” Borst, Florida, US - Ryan "00flour" Borst is a professional Fortnite player known for having the highest score and number of kills of all time in Duos on PC. He began playing Fortnite at the release of the Battle Royale game mode in September 2017, and quickly emerged in the competitive scene by December 2017 due to his prior years of Battle Royale experience. It was at this time that he met his soon-to-be teammates and began facing off against other high-level players. The name “00flour” originates from his love for cooking. Prior to becoming a full-time streamer on Twitch, Borst worked as a chef and often made pizza using 00 Flour, a special Italian milled flour considered by most to be the gold standard for pizza. Borst also happens to be an incredible dancer. John “WallHackJack” Franzen, Massachusetts, US - John “WallHackJack” Frazen is a 24-year-old Battle Royale player. He formerly played Fortnite for Red Reserve. He has been playing a variety of games on PC since he was 10 years old, with H1Z1, Halo, and Overwatch being some of his favorites. He generally dedicates himself to grinding the in-game leaderboards and is currently is ranked top 50 in the world for kills on PC and in the top 100 for wins on PC in the NA region.